Some commemorate St. Patrick’s Day with a pub-crawl, drinking Guinness and green beer. I think I would rather read an Irish mystery or crime novel—and just have a Guinness in tandem. S. Furlong-Bollinger’s Paddy Whacked (2011) is a brief and sprightly entry into the holiday stakes. 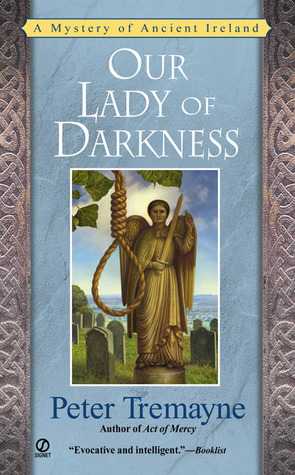 Peter Tremayne’s Our Lady of Darkness (2000) takes the reader back to seventh-century Ireland to save the life of one of the Sister Fidelma series’ major characters. 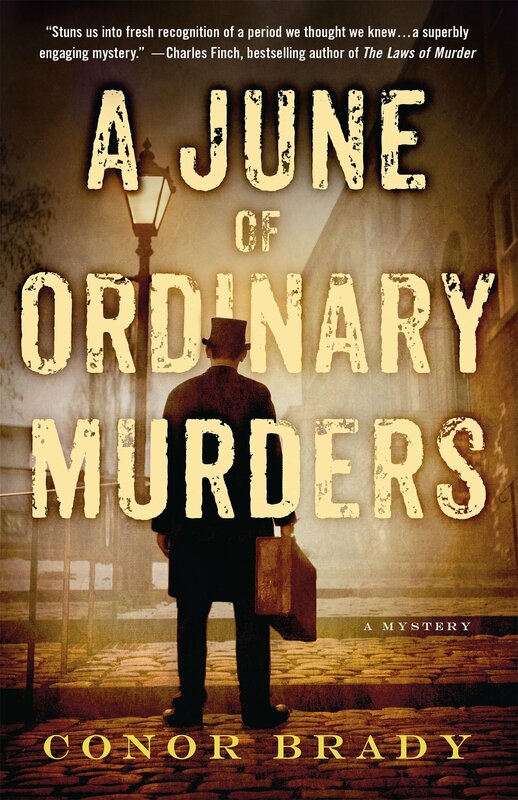 Moreover, for good measure, the sweltering summer of Queen Victoria’s Diamond Jubilee finds Dublin detective Joe Swallow with the Troubles simmering and a grotesque double murder to solve in Conor Brady’s A June of Ordinary Murders (2015). These three explore things Irish from widely divergent viewpoints. 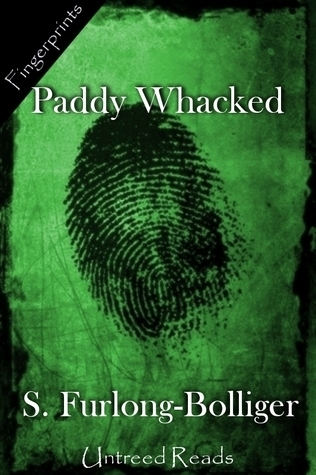 More than enough holiday icons weigh in on who killed Paddy O’ Toole, the Grand Leprechaun, in Paddy Whacked, but it is Inspector Helms and his associate Watkins who stand the best chance of ferreting out the murderer. Helms may have little respect for this congregation of reality-challenged characters, but he and Watkins never let skepticism spoil an intriguing case. Not only has O’Toole been bludgeoned, his gold has, of course, been stolen. Was it Nick Claus and is it in his bag? Was it Phil Punxy on the run from his shadow? Was it the Nutcracker, head of security? No one escapes the intense scrutiny of Inspector Helms and his erstwhile Watkins. In Our Lady of Darkness, Irish advocate Sister Fidelma, as always, is involved in a case of great moment and never more so when her great friend Saxon religious, Brother Eadulf, is accused, tried, and convicted of murdering a novice before she can reach him to argue his case. Against the odds, Fidelma persuades the accusing clergy to give her twenty-four hours to cast doubt on Eadulf’s conviction, but she is hardly dealing with evenhanded officials, clergy, and witnesses. The case against her friend is so tight, so pat, that divine intervention seems to be all that will avail if she is to clear his name. 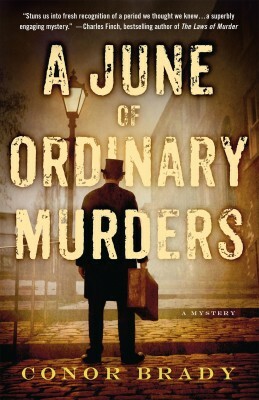 In A June of Ordinary Murders, the “ordinary” double murder confronting DS Joe Swallow in Dublin during 1887’s Jubilee summer is that of a mutilated adult and child discovered in Phoenix Park near the Chapelizod Gate. At this time, Irish nationalism was on the rise, sparked by the Land Wars. Crimes were classified as “special” which meant political, or “ordinary”, therefore non-political. While the horror of these murders weighs heavily on Swallow and the Dublin constabulary, author Conor Brady’s portrait of Ireland and their ongoing struggle with the British Empire is as vivid as the murder investigation he tries to solve. The first murders are devastating enough, but as Swallow discovers more bodies, the timing of these outrages aligns more and more with the approaching royal visit, and it is imperative to unravel how the murders relate to the political unrest in Dublin. The joie de vivre and charm of the Irish are as legendary as their way with a story. While not all of the three above authors are Irish, note that these stories, whether about legends, seventh-century Irish law or Victorian policing, the thread of Celtic culture runs throughout and is fascinating reading. Check out other mystery articles, reviews, book giveaways & mystery short stories in our mystery section. And join our mystery Facebook group to keep up with everything mystery we post, and have a chance at some extra giveaways. Also listen to our new mystery podcast where mystery short stories and first chapters are read by actors! They are also available on iTunes and Google Play. A new one went up this week. They all sound just terrific!